Books! Cleverness! Friendship! Bravery! HOUSE-ELVES! 1. A door sign that separates students from the secrets of Nicolas Flamel. So obviously, ignore the sign. "I mean, it's sort of exciting, isn't it? Breaking the rules." Get it from Beardley UK on Etsy for $6.45. 2. Otter pillowcases that will keep your Patronus around you at all times, even when you haven't summoned it. Get them from Amazon for $9.99 (left) and $8.99 (right). 3. A set of Hogwarts classics for when you feel like doing a bit of light reading. AKA always. Get the set on Amazon for $12.18. 4. 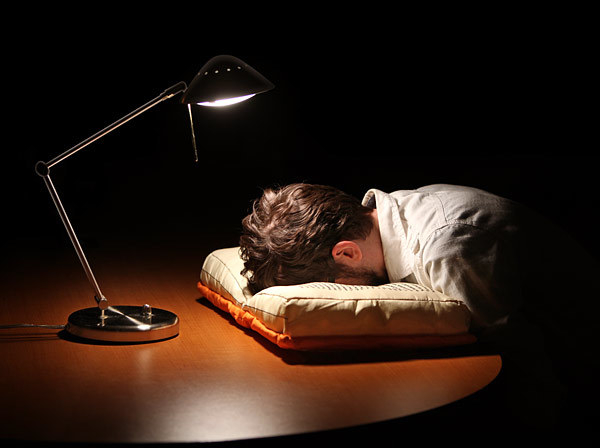 An LED book light that is the Muggle version of Lumos. 5. A tank that lets you give a voice to the voiceless. Because no elf should be treated like a second-class citizen. Get it from Look Human for $21.99. Available in sizes XS-XL. 6. A time turner that will help you spare innocent lives while also expanding your academic coursework. Leave Buckbeak alone!!!! I mean, Siriusly. 7. A quill set to record all your tedious notes. Divination not included, because that class is absolute hogwash. It's not even a precise form of magic. 8. A digital print of Crookshanks to show Scabbers who's boss. Get it from Paper Yarn Moon on Etsy for $7. 9. A candle that smells like library books, Earl Grey tea, and bergamot. And yes, that is a scent. Lavender candles = so overrated. Get it from Wit and Wicks on Etsy for $16. 10. 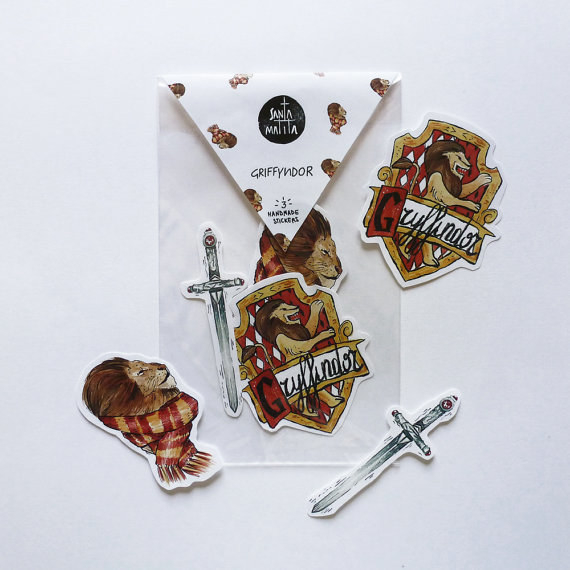 Gryffindor stickers to decorate your work laptop. You know, the one given to you by the Ministry of Magic. Get it from Santa Matita on Etsy for $3.96. 11. A journal that will help consolidate all the research you've compiled. Get it from Ada Keesler Design on Etsy for $9.50. 12. 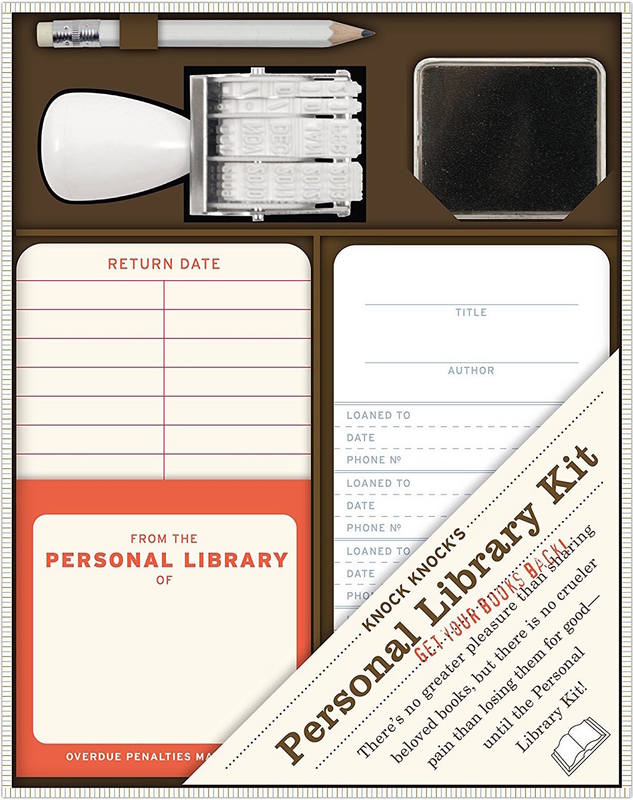 A personal library kit that makes it easier to keep your bookshelf organized. Phew. 13. A necklace that embraces the most important moment in all of Harry Potter history. No denying it. Get it from Kizzlish Beauty on Etsy for $7.11. 14. A cardigan and socks that let you show some subtle house pride. Get them from Amazon for $44.50 (left) and $10.99 (right). Available in sizes XS-XL. 15. Makeup brushes that you can use for the Yule Ball. The one you'll be attending with Viktor Krum. Swoon. Get it from Hessler Customs on Etsy for $35. 16. A chess set for practice, because you never know when you'll end up playing giant Wizard's Chess. Plus, losing to Ronald Weasley? Not so appealing. Get it from Box Lunch for $399.90. 17. 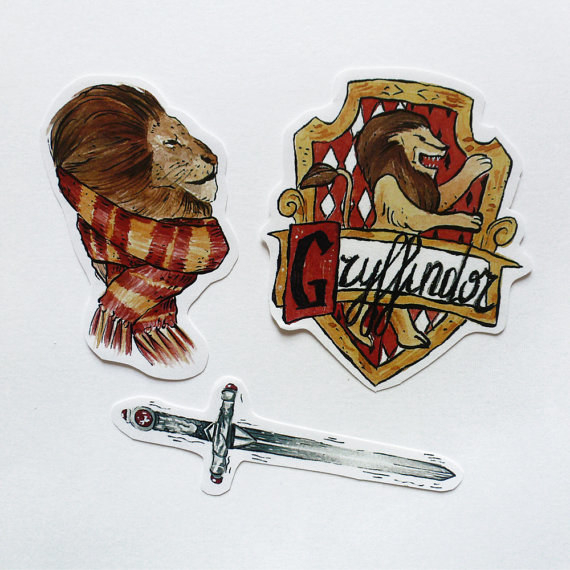 A pin that any bibliophile can use to embellish their house robes and dressing gowns. Get it from Literary Emporium on Etsy for $9.68. Get the scarf kit from Wool and the Gang for $35.50. Plus, get Harry Potter wool and knitting patterns on Amazon for $21.86. 19. A backup illuminating wand, just in case yours gets stuck in a troll nose. It happened to Harry, and it can happen to you, too. 20. 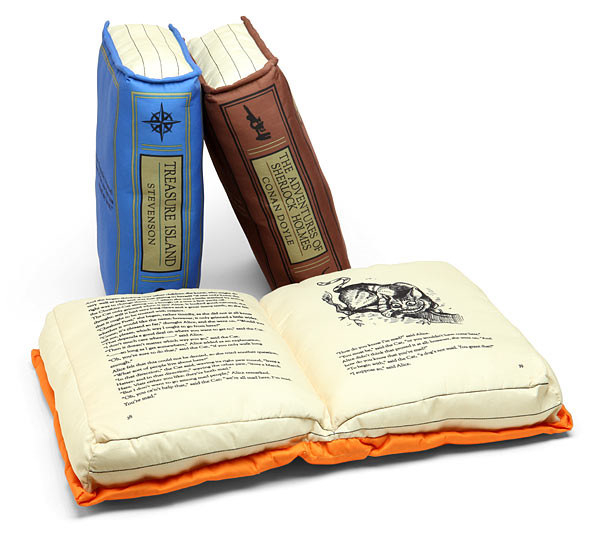 Book pillows for when you're going to bed. But only after you've warned your friends about their impending expulsion. 21. A tote bag that will help you carry around all 5 million of your textbooks. Hogwarts: A History included. Get it from Shelby Ticsay on Society6 for $16.20. 22. 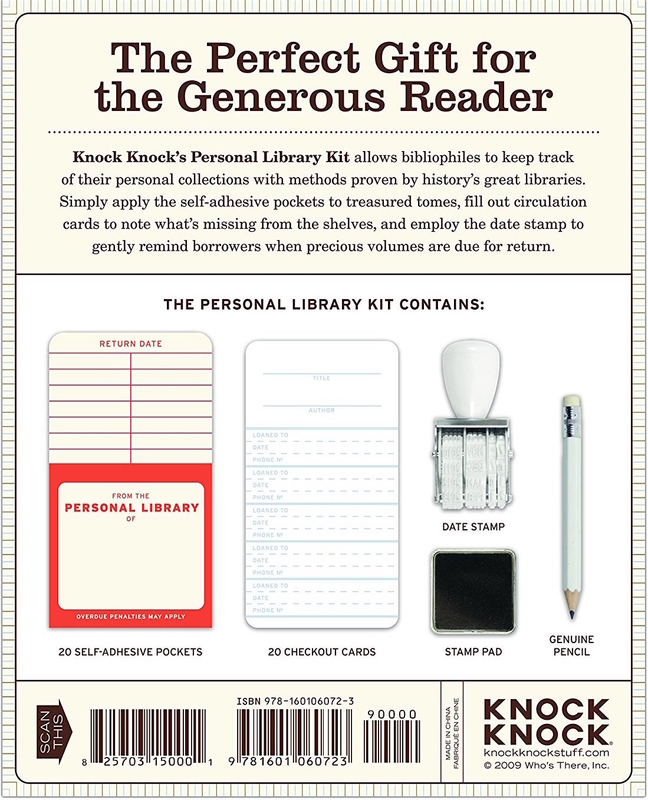 An art print that librarians around the globe should own. Get it from Boka Print on Etsy for $6.45. 23. A banner that you should definitely hang up in your home. The one you share with Ronald and your two children. Get it from Hot Topic for $15.92.